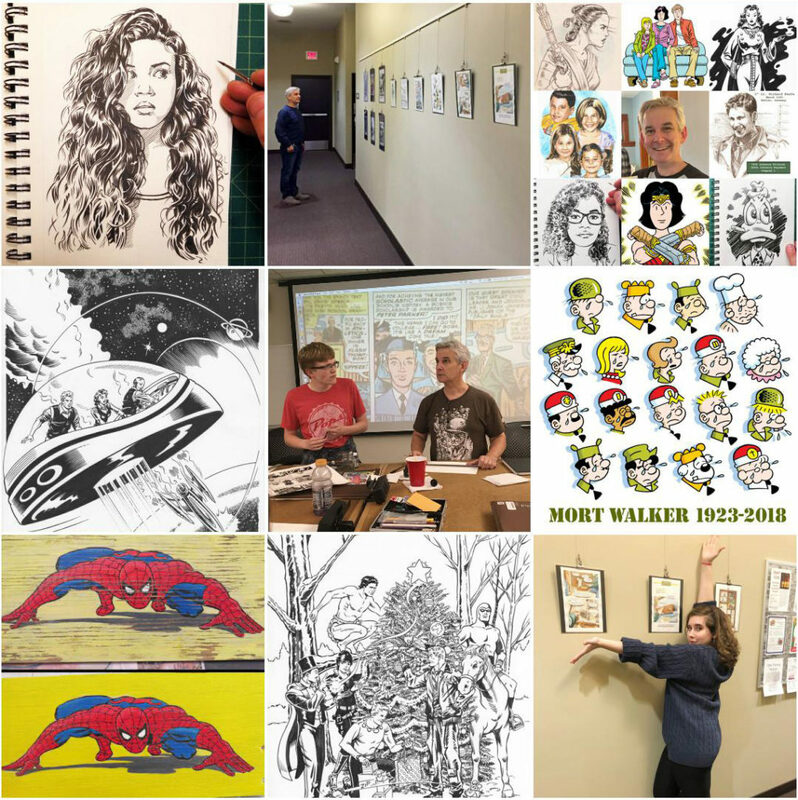 It includes an Inktober drawing of cartoonist Maddi Gonzalez, pics from my art exhibit down in Rosemount (with daughter Tessa showing off my art), some Flash Gordon, teaching at the Minneapolis College of Art and Design, tribute to Mort Walker, and my Spider-Man Little Free Library drawing (after a drawing by iconic Spider-Man artist John Romita). This entry was posted in Ramblings & Reviews and tagged Instagram Top Nine 2108. Bookmark the permalink.